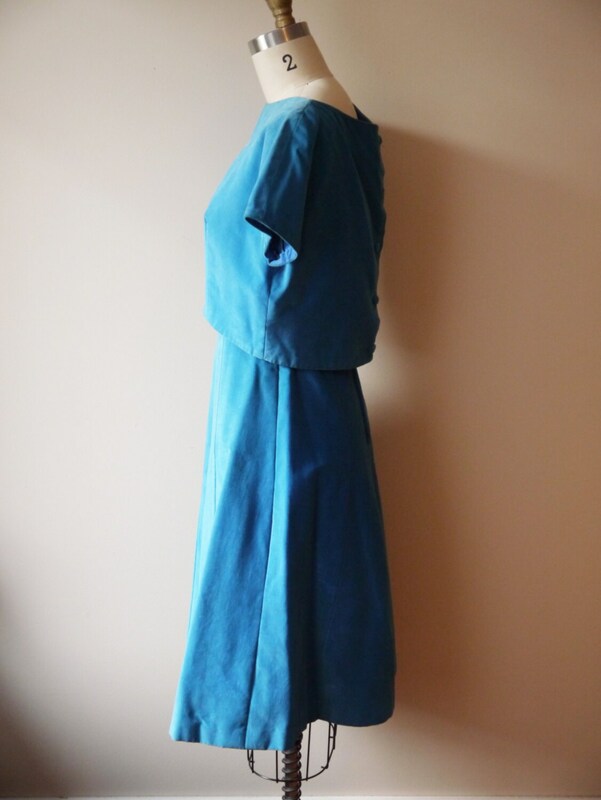 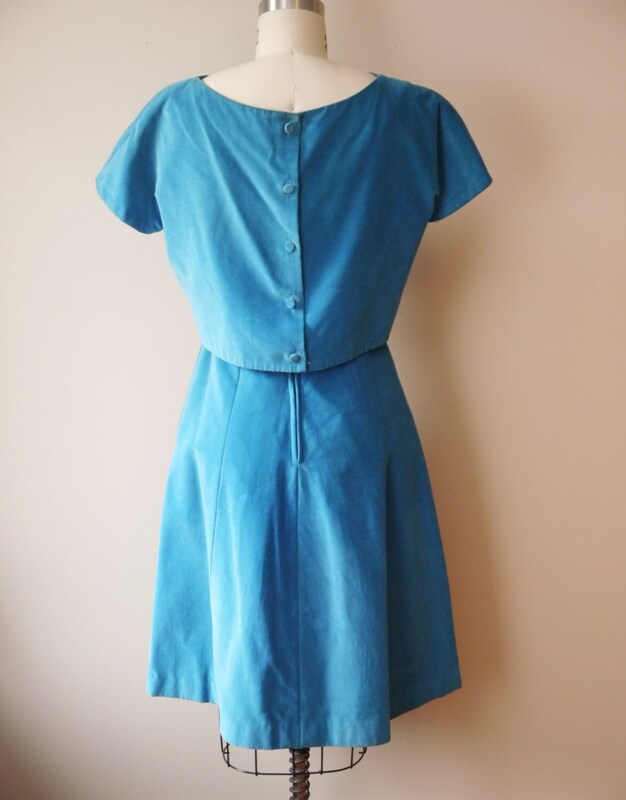 An absolutely beautiful 1960s blue suede and satin dress. 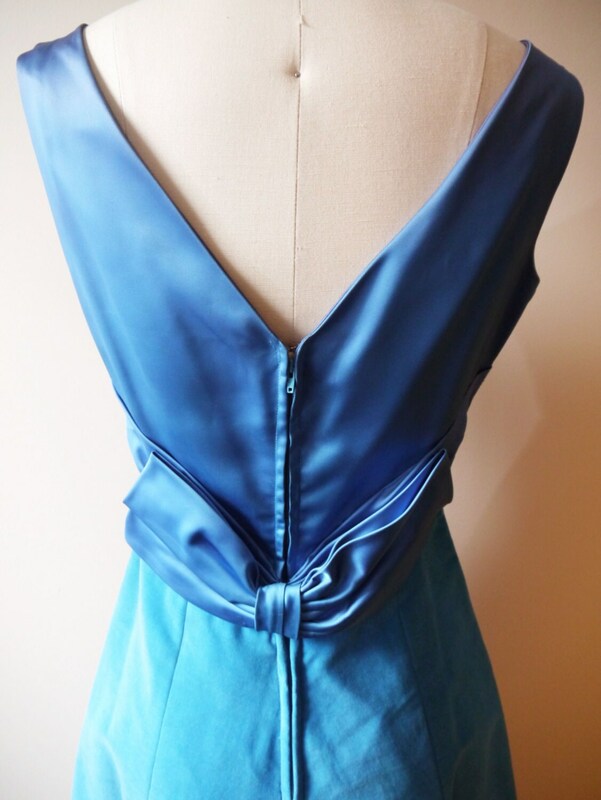 Dress itself is sleeveless with a large satin bow on the back. 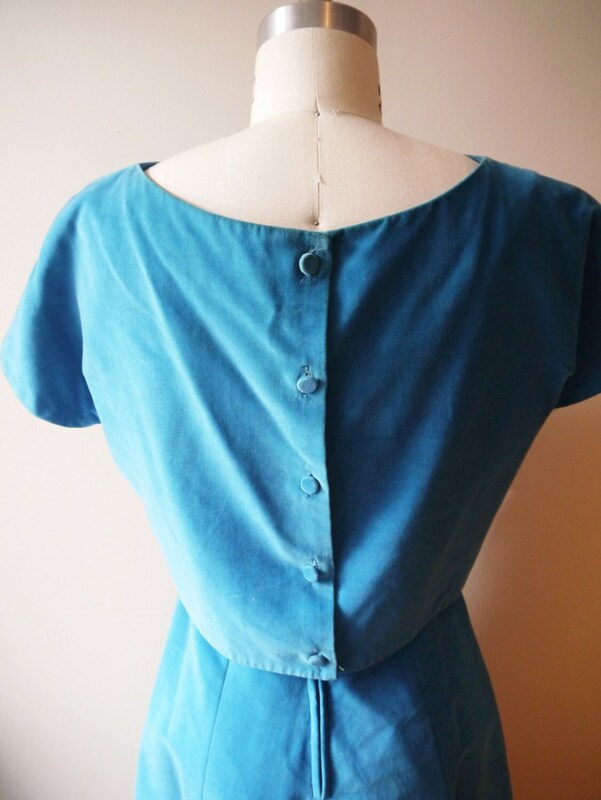 A short sleeve blue suede jacket with fabric covered buttons running up the back. 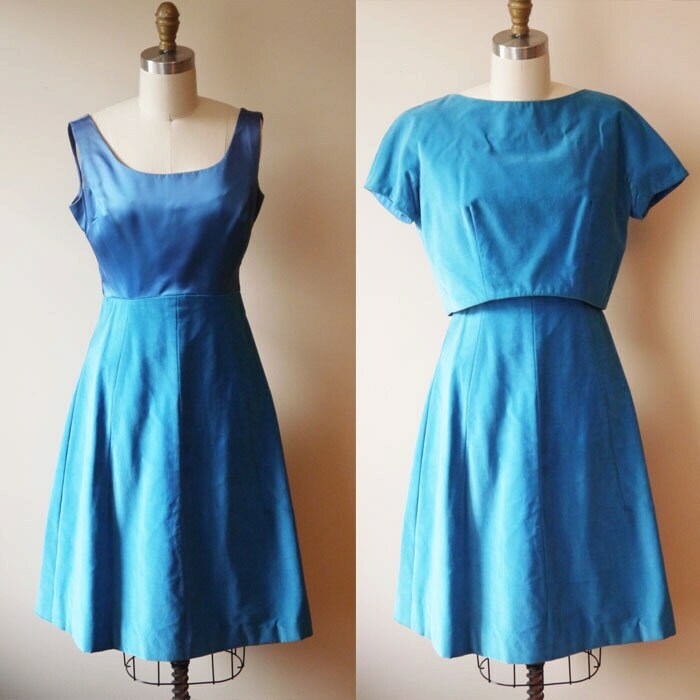 Can be worn together or separately.